News Release:Business Excellence Nominations OPEN! January 15, 2019, Cranbrook, BC. The Cranbrook Chamber of Commerce 2019 Business Excellence Awards has kicked off with a call for nominations. The nomination period will run from Jan 15th to Feb 15th, 2019 inclusively. Nominate a great business, individual or organization today. The Business Excellence Awards use a juried panel system to determine the award recipient. Multiple nominations are not necessary nor a determinant. Self-nomination is not only permitted but encouraged. If your organization is excellent, please let the Chamber know. 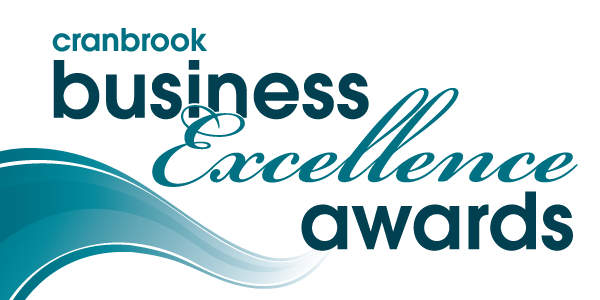 Now in its 28th year, the Cranbrook Chamber of Commerce Business Excellence Awards are the highest and most prestigious business honours in Cranbrook. “The Business Excellence awards are an opportunity to recognize true excellence in the businesses, entrepreneurs, leaders and organizations that make up our business community. We come together to celebrate their successes and contributions they make to supporting our local economy and building our community,” said Chamber Executive Director Kristin Parsons. Customer Service Excellence Sponsored by New Dawn Developments Ltd. The 2019 Business Excellence Awards Gala will take place on Saturday, April 13 at the St. Eugene Golf Resort & Casino. Nominees will be recognized and the award recipient announced as part of a fantastic Awards Gala evening celebrating the Cranbrook business community. Nominations are open to any business, organization or individual operating in the greater Cranbrook area. Nominate online at www.cranbrookchamber.com or contact the Chamber office at 250 426 5914 to receive paper nomination forms.